Now that it is past the Christmas season, I've wanted to keep the momentum going on teaching the kids about giving. 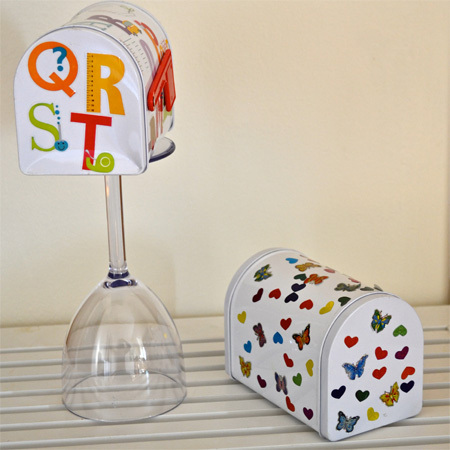 With Valentine's coming up, I remembered some Valentine's mailboxes that I saw in a blog post a couple of years ago. 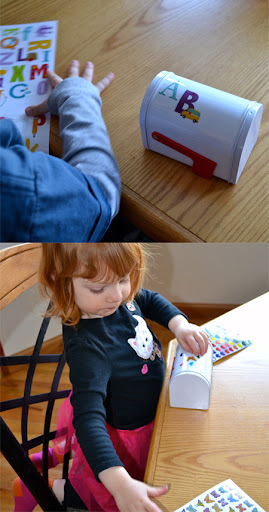 I don't remember exactly where I read about it, so I can't give proper credit, but the author picked up $1 mailboxes at Target for each of her kids and had them give valentines to each other using the boxes. I thought this was such a sweet idea. Last Spring, I noticed some of those cute mailboxes in the Target dollar section and grabbed a couple. So glad that I did. I brought them out and showed them to the kids last week. I asked them if they would like to decorate them and make drawings/notes/valentines throughout the next little while to put in each other's mailboxes. Their reaction was awesome. They were so excited to get started. On Saturday, we went out hunting for some decorations for the mailboxes. We settled on stickers. Buddy chose alphabet stickers (surprise!) and Jellybean chose hearts and butterflies. Before nap time, I let the kids decorate their boxes to their liking and then we set them on a table between their rooms. 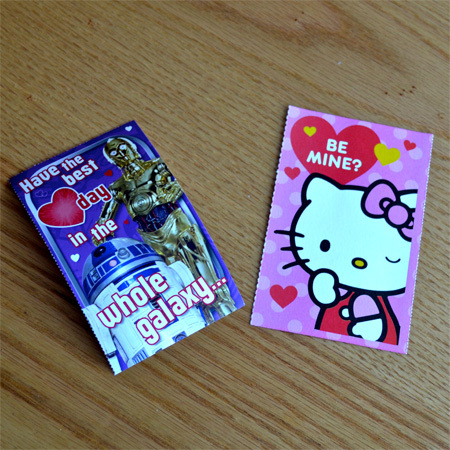 During naps, I grabbed a couple of valentines and put one in each of their mailboxes with a starburst. They were so incredibly excited to get their first delivery. I want to make it a fun experience for them to give and receive. Mostly, I want them to think about giving something small to each other, though D and I will likely put small things in there as time goes by. I'm planning to let them stay on the table throughout the next couple of months. Of course, if we really enjoy it, we may keep using the boxes throughout the year. That is a really cute idea. 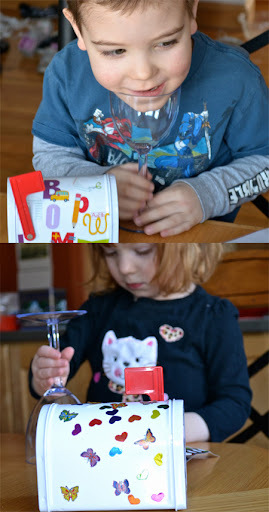 It is a fun project and a good lesson on being thoughtful. Thanks. We've been enjoying them and it's so fun seeing the kids thinking about what to give each other. I also love being able to put small things in them. Yesterday, I put in some coloring sheets and boy was that a hit. Thanks for dropping by. 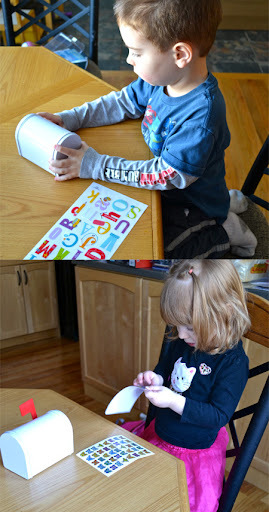 Really cool idea, my 3 yo son loves getting mail. Gotta find one of those mailbox! Definitely keep your eyes peeled when you visit the dollar section at Target. It seems like a pretty regular item that's available once or twice a year. Thanks so much for the feature and for dropping by.